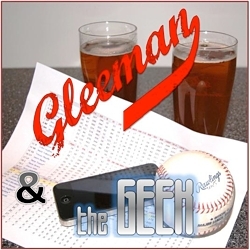 • After six months on the radio with KFAN this week's "Gleeman and The Geek" episode returned to our podcast-only, beer-drinking roots at Summit Brewing's annual "Backyard Bash" event. We explained the switch, discussed Joe Mauer's health status and future, and marveled over Byron Buxton. And as one commenter put it: "Aaron got overly salty at the end there." Ugly shirt? Check. Making a weird face? Check. Staring at your phone? Check. Good work, Aaron. There are a lot more pictures in existence, but you probably get the idea. Thanks to the Twins (and specifically Keith Beise and Chris Iles) for the invite. Good times, despite Kevin Correia. • My long, hard journey to the Deckstravaganza was documented poetically by Axel Kohagen. • My podcast co-host John Bonnes is speaking at the Minnesota Blogger Conference next month. • As someone who's shared way too much of his life online for years I was fascinated by the idea platonic friends Jessica Walsh and Timothy Goodman had to date each other every day for 40 days, keep separate journals documenting the experience, and post it all for the world to see. It was part art project and part social experiment, and when combined with a well-done website featuring lots of quirky visual extras "40 Days Of Dating" is incredibly interesting. • This season Buxton did things very few prospects have done and he did it at multiple levels. • Some interesting local radio news, as 105.1-FM has switched to a sports talk format and added a bunch of well-known names like Tom Barnard, Don Shelby, Bob Sansevere, and Mike Morris to its lineup. 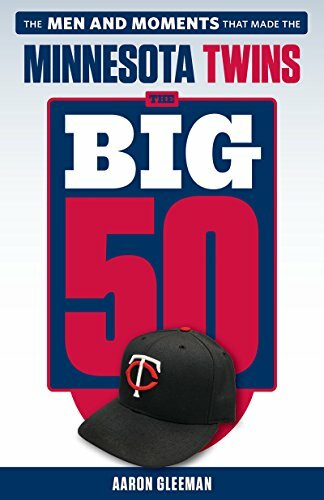 Along with 100.3-KFAN and 1500-ESPN there are now three local stations devoted to full-time sports and 96.3-KTWN also has all the Twins games. 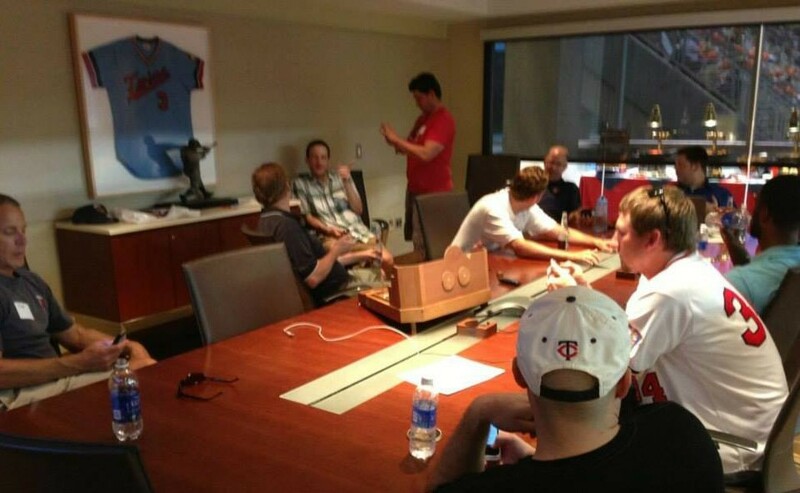 • Speaking of which, Adam Platt of Twins Cities Business took an in-depth look at the growing sports radio market in Minnesota and whether it's sustainable. It's a really good read, including a breakdown of each station involved and lots of interesting quotes from all sides. • If you gave me a good bottle of Scotch and two hours I could grow a better mustache than the embarrassment Justin Bieber has on his upper lip. • Braves teammates Dan Uggla and Gerald Laird had an ab contest via Twitter and as a Team Hirsute member I feel compelled to stick up for Laird. Freddie Freeman's photo bomb is the best part of the whole thing, although it might take a second to spot it. 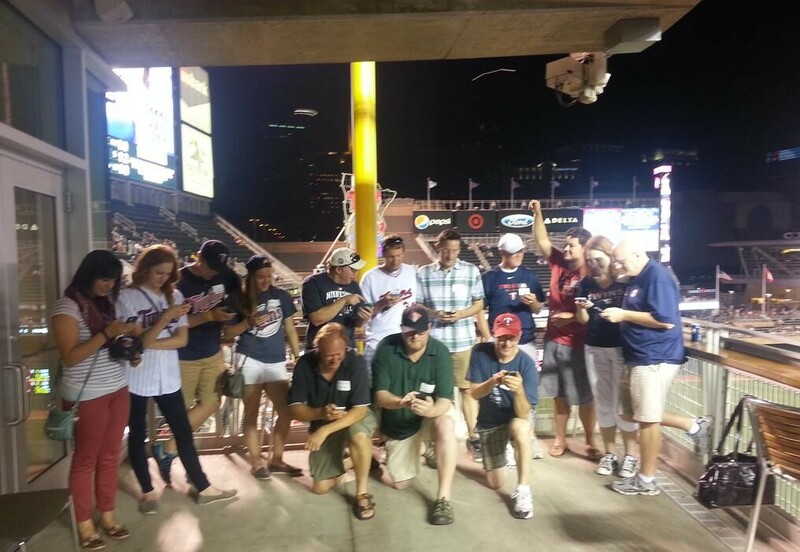 • I'll be among 100 people embarking on Saturday's all-day "Grand Drunk Railroad" event, which involves taking the light rail from St. Paul to Target Field for the Twins-Rays game and stopping at a half-dozen bars along the way. Technically all the spots were already booked in advance, but if you'd like to crash the party at one of the bar stops or the game here's our planned schedule. • Congrats to friend of AG.com Michael Rand on his promotion to Minneapolis Star Tribune digital sports editor. Great news for Minnesotans who consume their sports content online. • Congrats to Dana Wessel of 96.3-KTWN for being friends with Rand and for buying a nice table. Correction: Wessel did not, in fact, buy the table in question. Heather Balgaard is the real hero. • Dodgers third baseman Juan Uribe hit three homers in one game and then had a pot hat in his locker afterward. 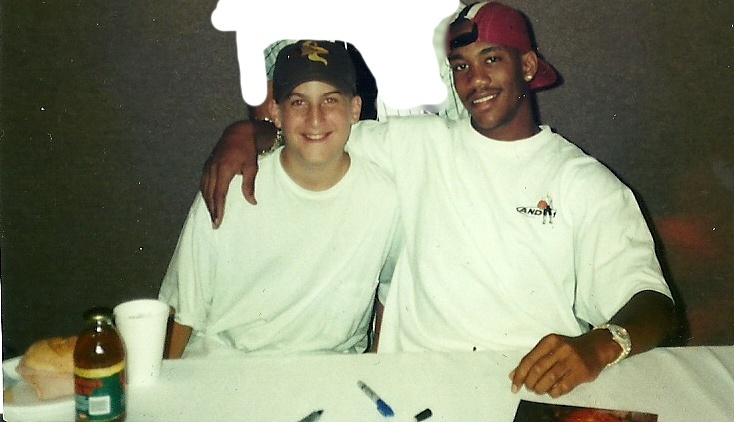 Not pictured: Marbury made me take off my Jason Kidd jersey before the photo was taken. • "Storage Wars: Dikembe Mutombo Edition" is a show I'd watch. • One of my favorite sports memories is being in the student section when Bobby Jackson came back to Williams Arena and got a standing ovation, so this news is pretty cool. As a mediocre JCC league point guard I wore my socks high because of him. • Even cancer knows not to mess with Robin Quivers. - "You Left The Water Running"
• I'd never heard Dan Savage before and was only vaguely aware of his popularity, but I really enjoyed his appearance on Marc Maron's show. • It took one podcast appearance for Jenny Slate to move near the top of best guest rankings. • I've owned the same pair of glasses since college and they broke this week, making me realize just how horrible life is when you can't see beyond five feet. If any doctors out there want to trade Lasik surgery for some blog and podcast mentions, let me know. I'm serious (and cheap). 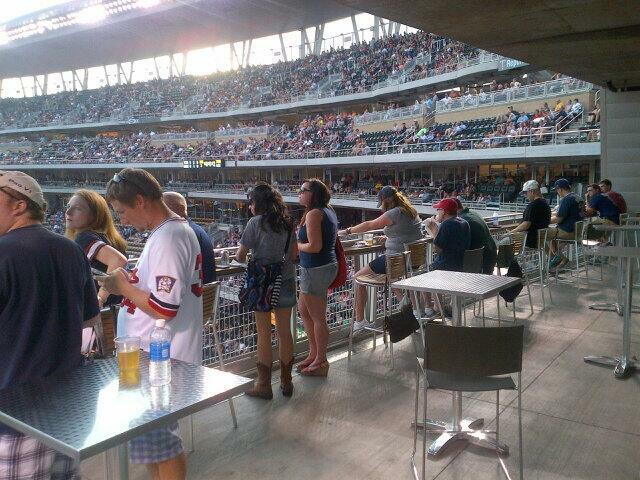 - "One beer or chicken wings worst for diet"
- "How to reduce weight in old men bloggers"
- "Sauce money 400 pounds"
- "Are the suites at Target Field air conditioned?" I like Rand a lot, and wish him well, but what happened to Howard Sinker? I hope any separation from the Strib was amicable. I wonder if the search for “Aaron Gleeman dead” was actually Bonnes hoping to get out of a podcast session, like he is so want to do. So you constantly give Bonnes crap on the podcast about how old he is and have even mentioned artists from the late 70’s and 80’s as “old people music” and yet you swoon over a guy who died in 1967? What’s up with that? The Marbury photo is obviously from 1996 based on the Snapple bottle.